For the last 20-30 years, there has been a great deal of focus around the world on evangelism and church planting. The sovereign outpouring of the Holy Spirit. The Lausanne International Congress on World Evangelization (1974). Amsterdam ’83 (and since): Billy Graham’s International Conference for Itinerant Evangelists. Advances in research creating widely-used resources especially focusing on Unreached People Groups, such as The World Christian Database and Joshua Project. Proliferation of “world evangelism plans” – there have been over 1000 new ones in 30 years! Multiple major prayer initiatives focusing on evangelism. Considerable missions mobilization of local churches, especially focusing on Unreached People Groups. The rise of dynamic evangelism efforts from the Majority World. Tens of thousands of people are coming to Christ each day around the world. Thousands of new churches are planted every week. We should thank God for this spectacular growth! However, there has not been corresponding attention given to leader development during this time. Consequently, today we have a deficit of Christian leaders in the existing churches, with new churches being planted all the time! An increasing deficit! In addition to this crisis of quantity of new leaders, we also face a crisis of quality of existing leaders. Clearly, our traditional methods of leader development simply have not delivered either the quantity or quality of leaders that today’s churches need. It would be careless and irresponsible for us to simply rejoice in the great harvest of souls that is happening today in many parts of the world, without addressing the issue of leader development. We should remember the Welsh Revival of 1904-06. During the Welsh Revival, tens of thousands of people came to Christ, the churches were filled with people praising God and entire towns were transformed. Many bars were emptied. Men and women who used to spend their money on getting drunk were now giving it to help their churches, buying clothes and food for their families. Stealing and other offences diminished so that, more than once, a magistrate came to court and found there were no cases for him to deal with! Men, whose language had been filthy before, learned to talk purely. It was observed that not only did the coal miners put in a better day’s work, but also that the pit ponies turned disobedient! The ponies were so used to being cursed and sworn at that they simply didn’t understand when orders were given in kind, clean words! The dark tunnels underground in the mines echoed with the sounds of prayer and hymns, instead of foul language, nasty jokes and gossip. People, who had been careless about paying their bills or debts, paid all they owed. Others forgot their quarrels and forgave one another. Much of the nation of Wales was shaken by God’s mighty power, and, from this revival, many other nations were impacted. However, today, at the start of the 21st century, Wales is one of the most secular countries in Europe – a mere 100 years later! We can learn from this, and from other historical revivals, that unless there are healthy leaders who are capable of leading God’s people to maturity, within a generation or two much of the harvest will be lost! We are in a crisis of leader development. 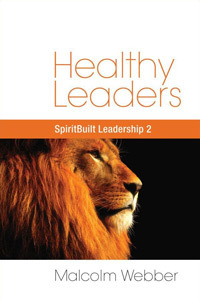 Our traditional methods of leader development have not delivered either the quantity or quality of leaders that we need, and unless this is addressed, in a generation or two much of today’s glorious harvest will be lost. We need a new paradigm of leader development. It’s time for some “lateral” thinking! Vertical thinking begins with a single concept and then proceeds with that concept until a solution is reached. Lateral (“sideways”) thinking refers to thinking that generates alternative ways of seeing a problem before seeking a solution. Vertical thinking is like digging a hole deeper and bigger, to make it a better hole. But if the hole is in the wrong place, then no amount of improvement is going to put it in the right place. No matter how obvious this may seem to every digger, it is still easier to go on digging in the same place than to start all over again in a new place. Vertical thinking is digging the same hole deeper; lateral thinking is trying again somewhere else. A missionary friend of ours in Central America watched this played out quite literally. After spending a long time stubbornly digging a deeper and deeper hole in one location trying to find water (vertical thinking), the well-diggers finally moved to another spot and struck water almost immediately (lateral thinking). From ad 450 to 1450, Bibles were all hand-written manuscripts (“manuscript” comes from the Latin for “handwritten”), the heritage of monks. From the eleventh century, each abbey and monastery had its own “Scriptorium,” where work was done copying or creating, decorating or binding. A single manuscript would take weeks, with a monk hand-copying the manuscript and working nine hours a day. Imagine this today in the face of the church growth we’re experiencing – tens of thousands of new Bibles are needed every day! In the time of the monks, what would have been a vertical-thinking response to the crisis of rapid church growth? Employ more monks! Write faster! Of course, this would never have worked. They needed a new paradigm. Enter Gutenberg, a lateral thinker! Johannes Gutenberg took two previously unconnected ideas: the wine press and the coin punch. The purpose of the coin punch was to leave an image on a small area such as a gold coin. The function of the wine press was, and still is, to apply force over a large area to squeeze the juice out of grapes. Gutenberg took many coin punches and put them under the force of the wine press so that they left their image on paper. The resulting combination was the printing press and movable type (ca. 1450). This began a revolution! This relates directly to our current leadership crisis around the world. We cannot keep building leaders the same way while merely trying to do it faster and on a larger scale. More of the same will not do! We need to transform the way leaders are built. We need a new paradigm. Our next Letter will present seven key paradigm shifts that will address the current crises of leader quantity and quality.